Clip a triangle for EGS this winter! Following the loss of Jasper, Storm and Spencer, Natalie Young, Rachel Mangto and friends came up with a novel idea to raise money and awareness of EGS. 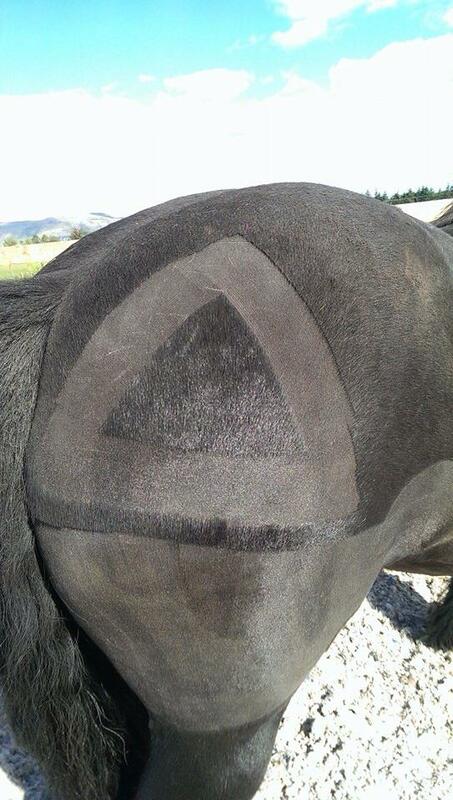 Simply clip a triangle onto your horse’s quarters and donate £3 by texting JSSF60 £3 to 70070. Finally post a photo to our Facebook or Twitter pages (or email to info@grasssickness.org.uk). They have already raised £816, let’s help them beat their target!